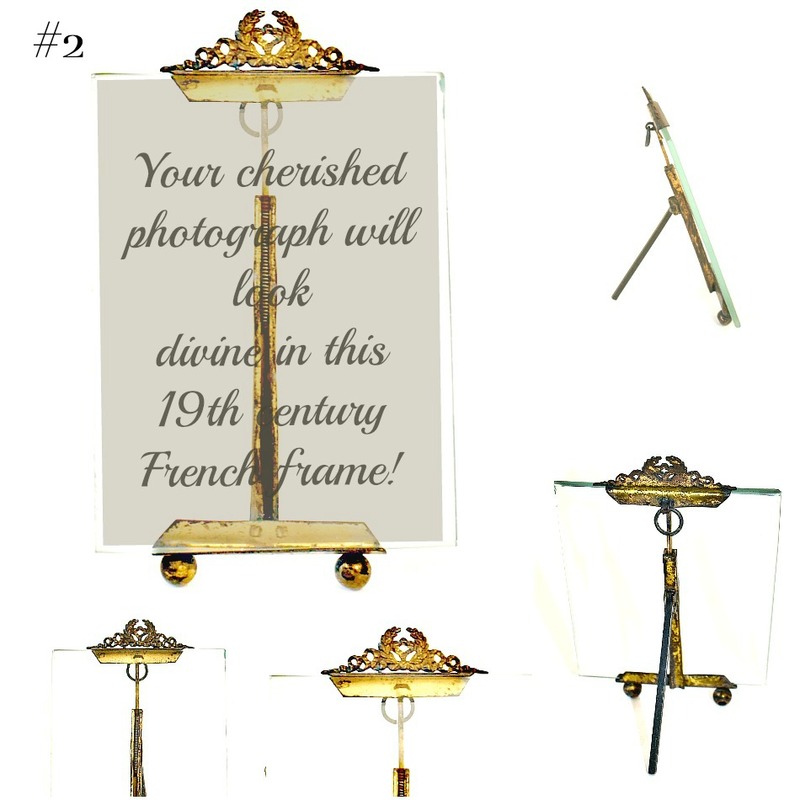 French Ormolu Frame, decorated in the Louis XV manner with laurel leaves and ribbons at the crest. 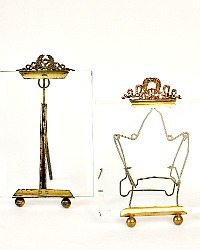 Easel style, the gilding has mellowed over the decades to timeworn perfection. 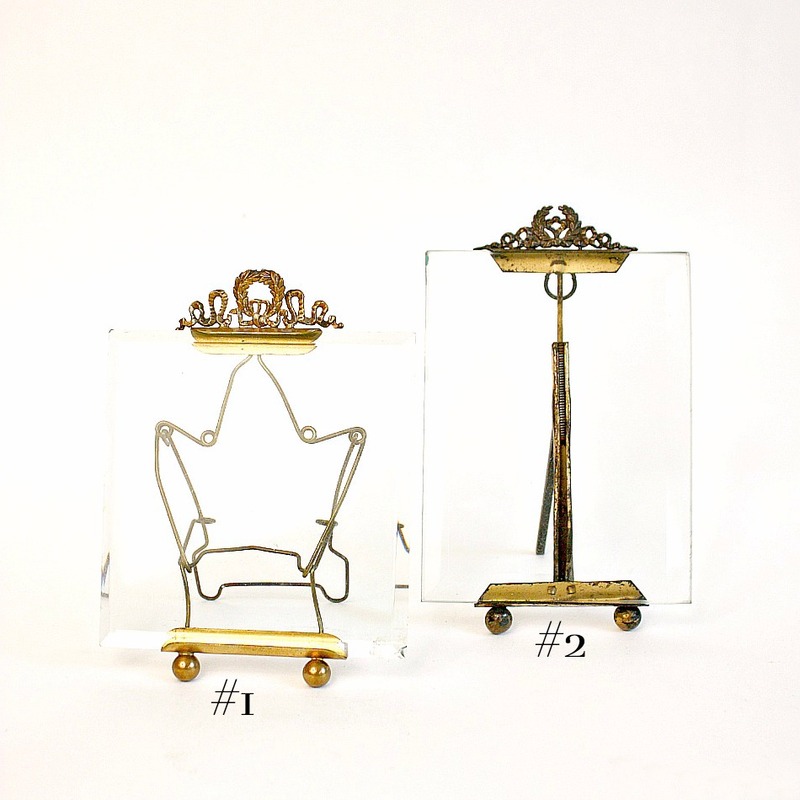 Thick beveled glass is held in place with the metal pieces, the easel spring mechanisms work smoothly, and is strong. Each frame stands on two ball feet. The glass has a few small fleabites as is acceptable and age appropriate. Lovely to display your beloved children or grandchildren, or a cherished picture of your pet, a grouping of these makes a beautiful statement! #2 measures: 6" x 3-5/8".